All Noise Control PVF sanitary acoustical panels are the only fully encapsulated panels that are USDA/FDA listed and Class 100 Clean Room approved. They can be installed as a lay-in ceiling tile, hung as a rigid baffle or a wall mounted panel. Our panels high density fiberglass core is dimensionally stable and highly sound absorptive. The fiberglass core is encapsulated in sanitary, chemically resistant PVF plastic film. After 759840 heat sealing the edges, the PVF film is shrunk tightly around the panel. Sanitary Acoustical Panels are ideally suited for hospitals, clean rooms, commercial and institutional kitchens, food processing and pharmaceutical facilities. Baffles reduce the reflection of sound waves by adding soft, porous, open-celled materials to an environment. These USDA approved baffles are a durable and virtually rip-proof method of adding sound absorption to reverberant areas. 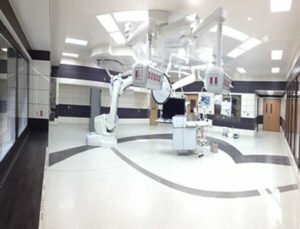 Typical uses include in food processing plants, bottling lines, clean rooms, hospitals, wineries, swimming pools, animal hospitals, and institutional kitchens. 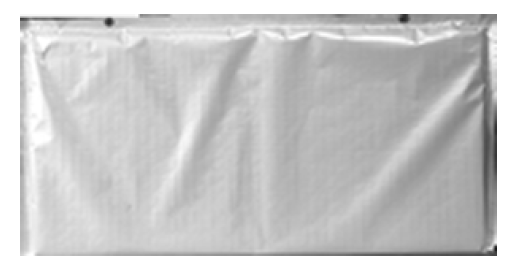 Description 1.6 lb/ft3 or 3.0 lb/ft3 fiberglass core fully encapsulated in a virtually ripproof reinforced white reinforced polyester film. ANC acoustical panels shall be located and spaced as detailed on reflected ceiling plans and/or detailed on the interior elevation drawings and as indicated on room finish schedule.